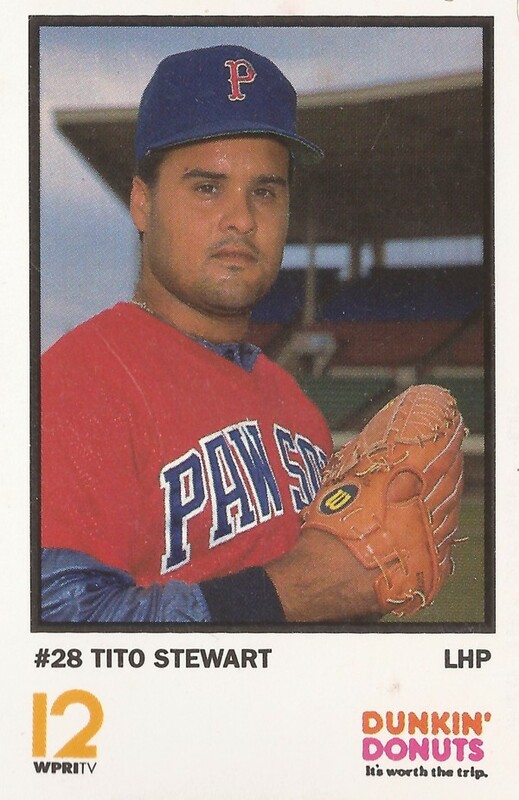 Not making it to the majors was always a thought in the back of Tito Stewart's mind, he admitted to a reporter for The Christian Science Monitor in 1986. "But every time I pitch well, it's a step closer to the majors," Stewart told The Monitor. ""I tell you - It will be a great experience for me the day I walk into Fenway Park." Stewart may have walked into Fenway, but he didn't do it as a player there, or in any other major league park. Stewart played professionally for nine seasons, never making the majors. Stewart, also known as Hector Stewart, started professionally in 1983 with short-season Elmira, signed by the Red Sox as a free agent. He went 6-5 with a 4.03 ERA that year. He made AA New Britain that year in 1986 and then AAA Pawtucket in 1987. With Pawtucket that year, Stewart went 1-7 with a 5.50 ERA in 52 relief appearances. He was also credited with 13 saves. "He (Stewart) was throwing some nasty pitches," Darnell Coles, who hit the home run, told The Toledo Blade afterward. "I was just looking for something to hit hard, not necessarily a home run." Stewart returned to AA New Britain for 1988, throwing a 4.23 ERA in 50 appearances. It was enough to be called one of the team's top lefties. But he wasn't considered a top prospect, according to the Associated Press. It was AA New Britain for Stewart again for 1989 and back to Pawtucket in 1990, his final year with the Red Sox system. Brief stays with the Expos and Padres systems and Stewart's playing days were done, never making it to the majors.